As we head into a new week in this the silly season ( two days ago I was in shorts, today I looked for a parka, right now an ark) I thought it a good time to ask just who is the worst premier in Canada? Could it be Christy Who? You know the premier who in her heart has vanished, shut down the legislature until spring? Could it be Pauline, let’s have a secular treaty and see what that does for our economy and for our chances of re-election? Could it be *Kathleen Wynne whose policies are killing the Ontario economy and who threatened the two other parties propping up her minority government with an election she would surely lose. Tough choices to be sure. For the time being I give the nod to Marios and Wynne two premiers who are turning Canada’s largest provinces and the supposed economic drivers into have-nots. * Wynne had help from a man named McGuinty but she is continuing his tradition. Posted on April 29, 2013 Categories BC Liberals, PremierTags Christy Clark, Today's BC Liberals1 Comment on Premier Christy Clark: She Broke the Law and Lied about it! BC Rail: Christy Clark Should Order a Full,Immediate and Quick Inquiry! Enough pictures already,CALL the Inquiry! David Basi’s memo makes a great case that Christy Clark is a liar. Clark has fumbled and BS’d around on this and other files since she took over as Premier. Assuming she has nothing to hide she should have gotten out in front of this her early days as Premier. She hasn’t and now she has nobody but herself to blame for all the trouble that she is in. Instead of sending attack dog and resident dimwit of the Premier’s office, Sarah MacIntyre, on the offensive ,Christy Clark should call an immediate,no holds barred inquiry into BC Rail. I mean if she has nothing to hide what would stop her? She seems to be reviewing everything else the government does. So what harm does one more review do? ( If she has nothing to hide). I bet the expanse of the inquiry would be something to taxpayer would be glad to pay to put behind them. So Clark should do the right thing ( if she has nothing to hide) and call the inquiry. After all the public has been clamoring for her to get out in front of this file since she took the oath of office. So Premier,if you have nothing to hide, do the right thing and call an inquiry and specially have the role you played thoroughly reviewed. Posted on June 26, 2012 Categories B.C.Politics, BC Liberals, Canadian politics, Premier, provincialTags B.C. Liberals, b.c.politics, BC Rail, Christy Clark, political blogs7 Comments on BC Rail: Christy Clark Should Order a Full,Immediate and Quick Inquiry! I solemnly swear to lie like a rug! Just when you thought the wacky world of Premier Christy Clark couldn’t get any stupider, she stands on her her soap box , attempts to exonerate incompetent Cabinet Minister Stephanie Cadieux and then blames the whole sordid CLBC screw up on the NDP. Unless Adrian Dix is a ventriloquist and projected Stephanie to say and do the dumb things she has done since she got the file, how on earth do you hold the NDP accountable for yet another BC Liberal gaffe? What does she not get? The Liberals had one of their worst weeks ever and it was largely once again due to the fact that they never take ownership/ leadership of their mistakes. Their worst weeks ever that is, until this week. Today,damning evidence came to light showing clearly Premier Clark has lied about her involvement in the BC Rail fiasco. How on earth do we expect people to vote or get involved with politics with a Premier who tells one lie after another? She even lied to get the bloody job! In the real world that in itself is cause for dismissal. In the name of restoring honesty and integrity to the Premier’s office, Clark Must Go! 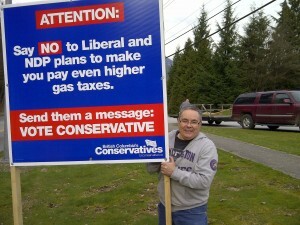 Posted on June 25, 2012 Categories Political Blog, Premier, provincialTags Adrian Dix, B.C. Liberals, Christy Clark, gaffe, liar, lie14 Comments on Christy Clark Must Go! If Kevin Falcon doesn’t Trust Premier Christy Clark why should You? This is directed squarely at you Christy, stop with the unapproved spending! This post could also be called Christy Clark: Et Tu, Kevin Part 2. This is not the first time Kevin Falcon has been front and center rapping the Premier over the Financial knuckles and the “leaked” memo is more than likely directed towards Premier Christy Clark and all her photo-optic financial announcements. This might also explain Transportation Minister Blair Lekstrom not wanting to discuss tolling costs for the Port Mann Bridge. But make no mistake about it, this is yet another shot across the bow of the lame duck leadership of Premier Christy Clark. Combine that with recent poll results showing Clark no longer out performs her party and you gotta wonder how long before things get really ugly! How much longer before Christy Clark is shown the door? What do you think, will the caucus get rid of her or will it be the electorate in May 2013? Posted on June 23, 2012 Categories BC Liberals, Canadian politics, dirty politics, Premier, provincialTags B.C. Liberals, b.c.politics, BC politics, Christy Clark, dirty politics, Kevin Falcon10 Comments on If Kevin Falcon doesn’t Trust Premier Christy Clark why should You? Believe me,Nobody BS’s and Lies like Premier Clark! It seems every Friday we end with a blog post detailing the Shenanigans, Gaffes and Bulls*t Premier Christy Clark and her Government are responsible for..
Every week we get hand delivered a new set of lies . It’s almost as if you can go to the BC Liberal web site,enter your email or subscribe and get straight to your inbox this weeks nonsense. It’s simple just set up a Google Alert and every night like a horror movie your Blackberry or iPhone goes ping and you can see first hand what Christy Clark screwed up that day. Be prepared,each nights Alert is a long list. This week I have received a plethora of stories from such authors as Ales G Tsakumis , Warren Kinsella and Michael Smyth. Tonight no doubt I will get one from Lindsay Kines. This brings us to a piece by Justine Hunter discussing the BC Liberals trying to work out their differences with the BC Conservatives. No matter what Fantasy land Phil Hochstein or John Reynolds live in, this will never happen. A child could be drowning in the Fraser River and Clark and her entire cabinet could form a chain and pull the kid to safety. The public’s reaction: So what; they were probably looking for a photo-op and tossed the kid there in the first place! Nothing can save these people because they have passed the point of no return. Certainly no BC Conservative I have ever met would want to join up with them. Why would we. These people are arrogant and corrupt as we shall see if we ever get lucky enough to have a full inquiry into BC Rail. They need to be flushed away in the next election. For a lot of us with Christy Clark in Google Alerts it can’t come soon enough! Brian Topp: SSH Adrian, Not one word! Today comes word that the Adrian Dix led BCNDP will bring in Brian Topp to manage their 2013 election campaign. What will this mean to BC Voters and a greater extent to the Mainstream Media? Back in the 1990’s Brian Topp worked Saskatchewan Premier Roy Romanow as his Deputy Chief of Staff. What is remarkable about this and why it is a great move for the BCNDP is this : There are three amazing parallels to the Romanow win and our own upcoming BC Election. 1) Grant Devine and his Conservatives found themselves as far behind and as reviled as The Christy Clark BC Liberals are now. 3) The NDP ran a great campaign and won easily. What the NDP did in Saskatchewan I suspect the BCNDP will do here. They ran a campaign dubbed in the media as the Roy in the Bubble Campaign. This meant that Roy Romanow was so far ahead when the election started, he kept his mouth shut,held on to his big lead and won. I suspect Brian Topp will bring some of that knowledge to this campaign and encourage Adrian Dix and the BCNDP team to do the same. It worked then and it will probably work now. 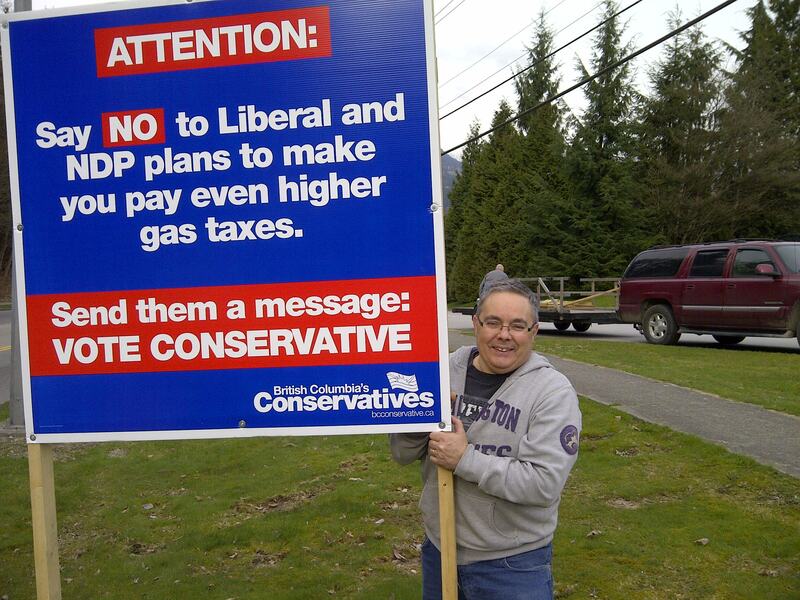 Posted on May 17, 2012 Categories B.C.Politics, BC Conservatives, BC Liberals, BC Politics, bcndp, Canadian politics, Political Blog, PremierTags Adrian Dix, B.C. Liberals, b.c.politics, BC Conservative Party, Brian Topp, Canadian politics, Christy Clark, political blogs, Vancouver Province, Vancouver SunLeave a comment on Adrian in the Bubble! Christy Clark: Leadership or Lack of it? You decide. Whether you like it or not,the people are trying to tell you something! I used to work for a small polling company back in 2000-2005. When I was there this is how polling worked. The company would get hired to poll customers or voters relevant to a specific question,product service or idea. A script would be written,approved by stakeholders and loaded into a computer so that those trained in a call center environment would phone and ask a question. The caller would enter the data into the computer and from there a report was generated and sent out for statistical analysis. The person doing the analysis was an experienced statistician who had analyzed data for a number of years for a number of different polls. From there reports were present to clients and released to the news. The most recent result on a poll done by Angus Reid showed us that 50% of the people would vote BCNDP if an election were held now. The current BC Liberal government polled at 23%. This means that as of today, Christy Clark and the BC Liberal Government are not connecting with 77% of the electorate. It was reported that when asked about this, Premier Clark blasted the polling company. I can tell you from experience that it is hardly the polling company’s fault that Ms Clark and her government is not connecting with the electorate. Had she come out and accepted the blame ( or at least some of it) she would have taken leadership of the situation. She didn’t and once again missed a glorious opportunity to connect with the people she needs. I recall years ago another politician missed a chance to do the same thing. His name was Stockwell Day. He made a grave error in a speech in Niagara Falls. You may recall he said Canadian Jobs were flowing south like the Niagara River. When it was pointed out to him that the river actually flowed north,he lashed out and said he would get the person who wrote the speech with the wrong facts. As you know by now he went on to lose the election because of this and other gaffes. Had he taken leadership of that,the result might have been different. My point is that through lashing out, politicians like Day and most likely Clark lose because they don’t know how to lead. In Clark’s case she has 12 month’s to learn. Posted on May 16, 2012 May 16, 2012 Categories B.C.Politics, BC Conservatives, BC Liberals, BC Politics, bcndp, Canadian politics, Political Blog, Premier, UncategorizedTags B.C. Liberals, BC Conservative Party, BC politics, Christy Clark, political blogs, Premier, Stockwell Day, Times Colonist, Vancouver Province, Vancouver Sun2 Comments on Christy Clark: Leadership or Lack of it? You decide. BC Conservatives: Not Spoilers; Here for BC! As the signs flew out the door and Premier Christy Clark said the BC Conservatives were here to play the spoiler role, I couldn’t help but laugh! In 2009 when I was on the campaign team of Mary Polak in the role of Fundraising chair, I had occasion to go to the nomination meeting of Gordon Campbell. Mr.Campbell came out on the stage and in the beginning of his speech waxed eloquent about wanting to be Premier because he owed it to British Columbia to get the province economically sound enough so that his grandchildren could live here, graduate here and get a good job here. The problem with that speech was that he gave nearly the same one in the late ’90s in Vernon British Columbia. The only difference in the two speeches was that night in Vernon he said he wanted to be Premier so that his Children could live here, graduate here and get a good job here. As you can see,the only thing that changed in the whole time that Campbell was Premier was that his kids grew up , had kids and the place still wasn’t good enough for them. Ship ahead to 2011 and say Hello to Christy Clark and her families first agenda. Still the same old,I want to do good for families speech without anything ever happening. Premier Clark has undertaken to review almost everything, a roll and task that should have been done when she first was a minister back in the early 2000’s. The B.C Liberals have worn out their welcome with me and a lot of people. Like me those folks went through the motions in the last election because they did not want the NDP to form government. We have suffered the nineties ( Known as the decade of destruction) under the NDP and continued the suffering in the 2000’S ( known as the decade of deceit) under the BC Liberals. With the calling of the By-election today we begin ( for some of us continue) the process of restoring our illustrious province to one of respect and dignity. We want to return British Columbia to all those families who have been taxed and gauged over the last 20 years. It’s time for real change in British Columbia, it’s time to correct the problems that the true spoilers of the wealth in BC Have caused, it’s time for the BC Conservatives ! Posted on March 22, 2012 March 22, 2012 Categories BC Conservatives, bcndp, Political Blog, Premier, UncategorizedTags Adrian Dix, B.C. Liberals, BC Conservative Party, bcndp, Chilliwack, Christine Clarke, Christy Clark, Elections BC, John Cummins, John Martin, political blogs, Vancouver Province, Vancouver SunLeave a comment on BC Conservatives: Not Spoilers; Here for BC! Potentially on the eve before the by-elections are called the Globe and Mail reminds us how stupid Premier Clark is! The uniform of choice for anybody that runs on the Premier's record! Potentially as the CBC is reporting, Premier Christy Clark will finally get around to it and call the by-elections tomorrow..
At the same time Robert Matas writes an excellent piece in the Globe and Mail relating to the mess that Christy Clark caused over the building of the Evergreen Line. Without rehashing all the furor the Premier caused over her incompetence on this file, it is astounding that the B.C.Liberal Party and in particular our stunned Premier would turn around and publish a flyer listing her goof up as an accomplishment. Even more incredible is the fact that The B.C. Liberal candidate is proud to run on her record. While I go out for a barf bag,could somebody run out and grab a couple of straight jackets for the Premier and her prospective underling. Anybody that runs on her record should be locked away and committed. Should the by-elections be called tomorrow, this will be the first opportunity for British Columbians in any riding to show the Premier that she is not the right person for the job. Do the right thing, vote, tell the Premier we get it , and start the process of giving her the boot. Your family will be glad you did! Posted on March 21, 2012 Categories B.C.Politics, BC Conservatives, BC Liberals, BC Politics, bcndp, Canadian politics, Political Blog, PremierTags b.c.politics, BC Conservative Party, BC politics, by election, by-elections, Canadian politics, Chilliwack, Christine Clarke, Christy Clark, gaffe, John Cummins, John Martin, political blogs, Premier, Times Colonist, Vancouver Province, Vancouver SunLeave a comment on Potentially on the eve before the by-elections are called the Globe and Mail reminds us how stupid Premier Clark is!